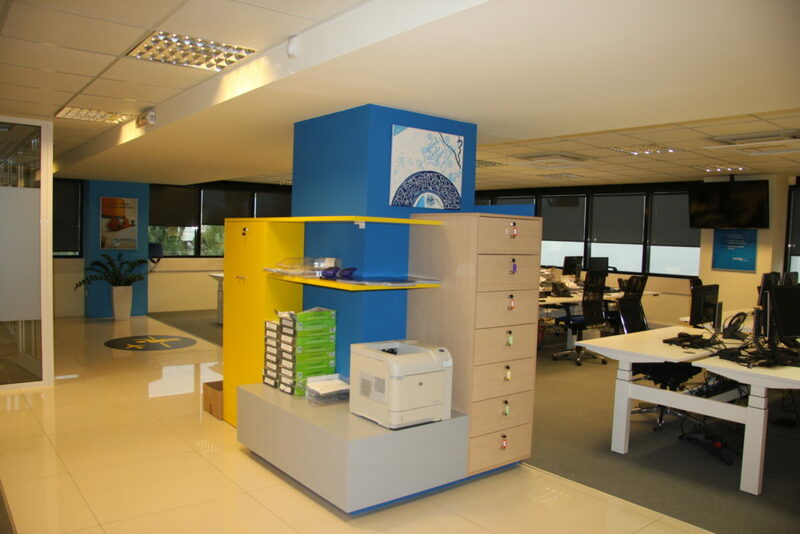 The custom made furniture design was essential for this project in the context of the offices refurbishment. 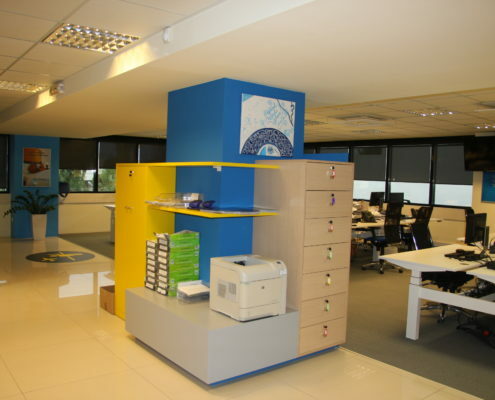 There were specific needs for the employees that had to be fulfilled during the design procedure. 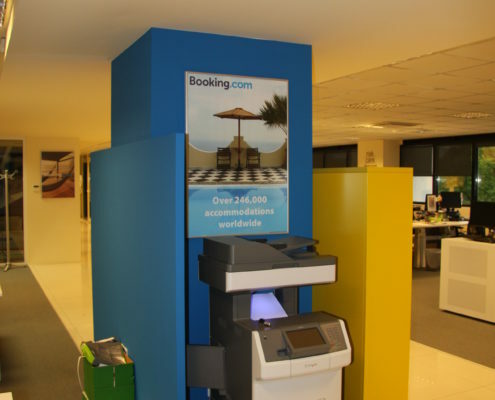 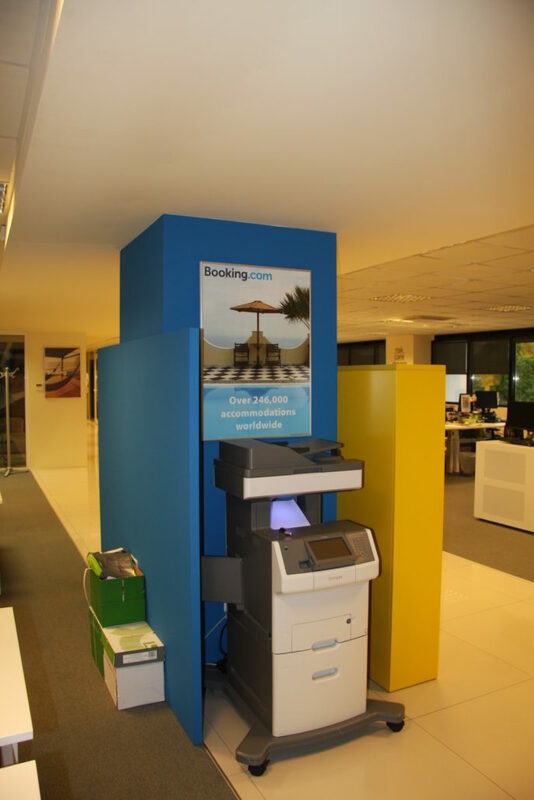 There was a big column in the middle of the working area that could service as a printer area. 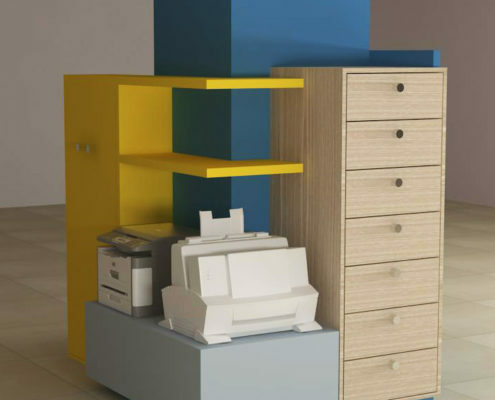 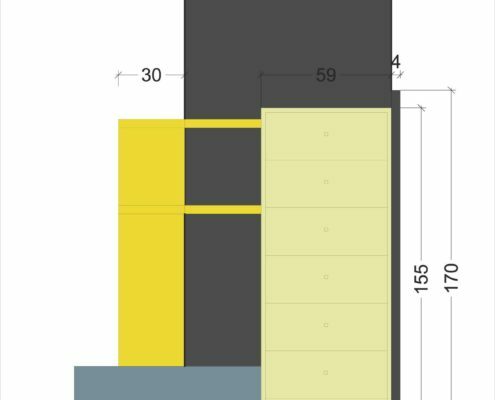 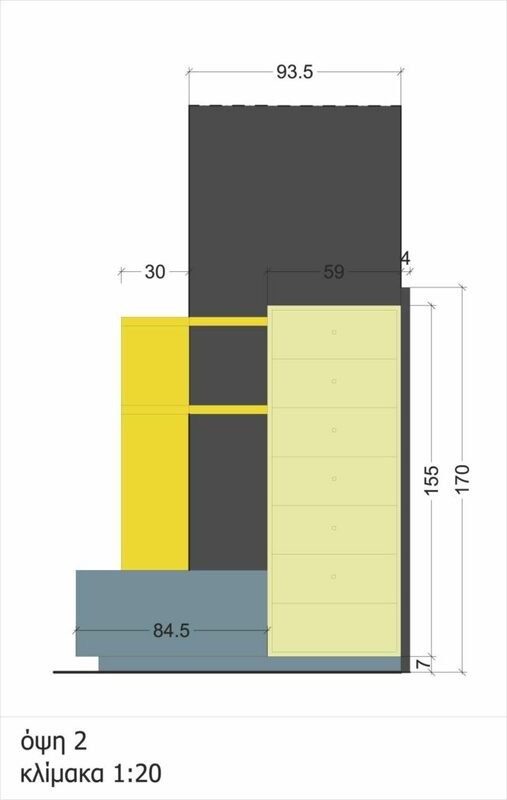 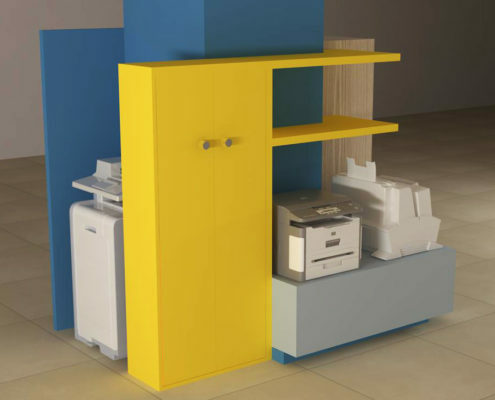 Following this concept, the team proposed furniture, made of wood and painted in the colors of the firm, that serves for the location of printers, the fax and the storage of print supplies. 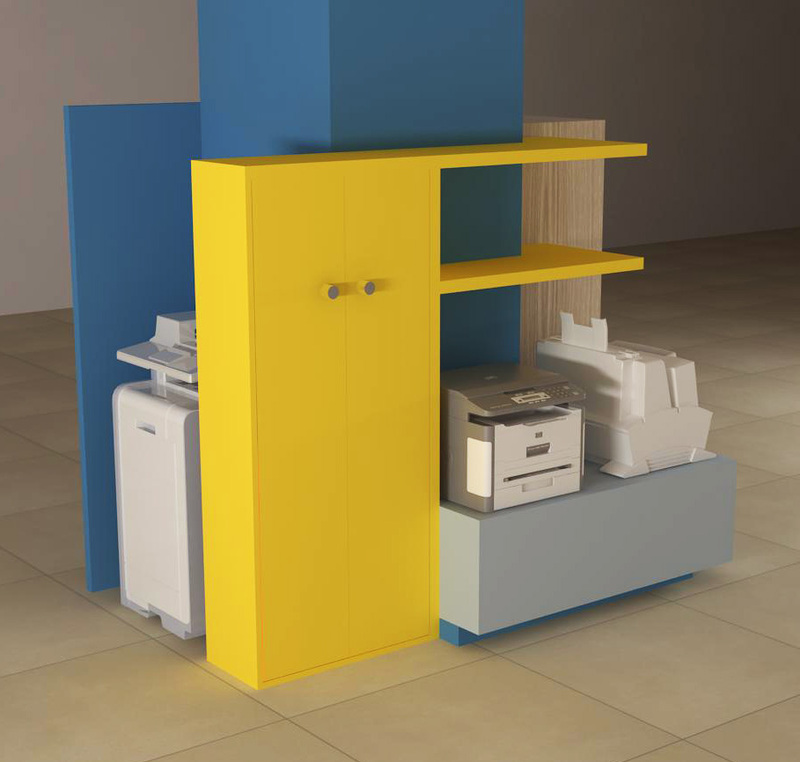 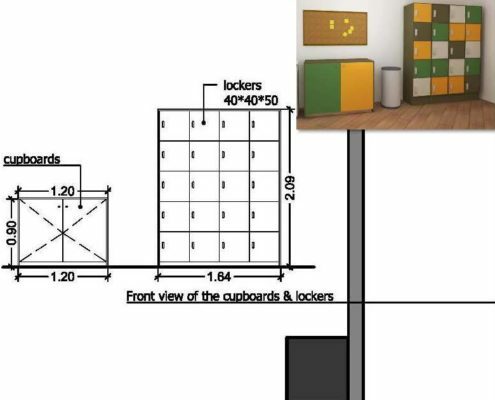 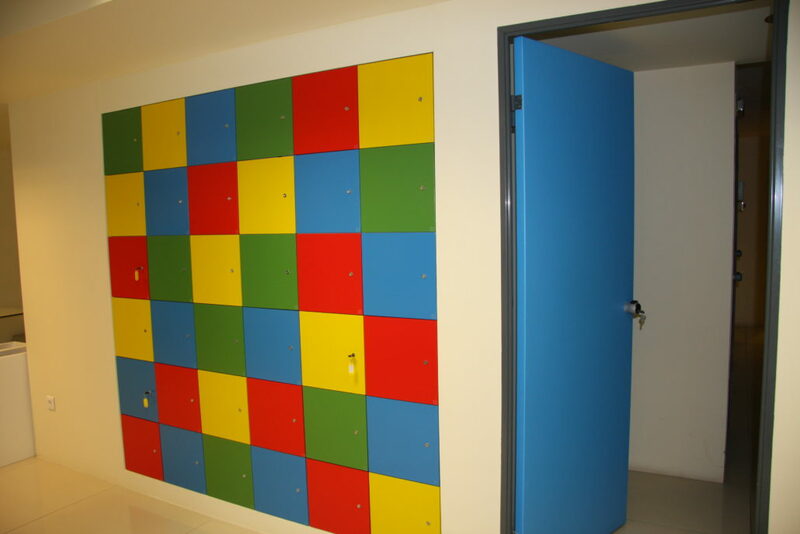 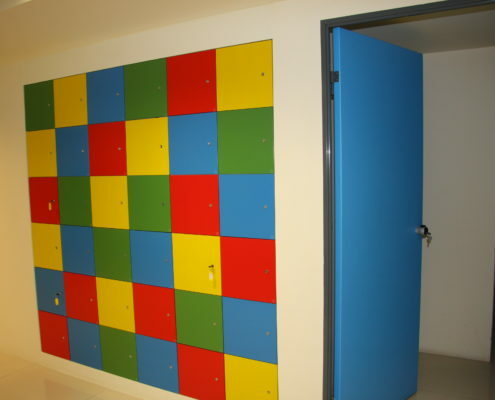 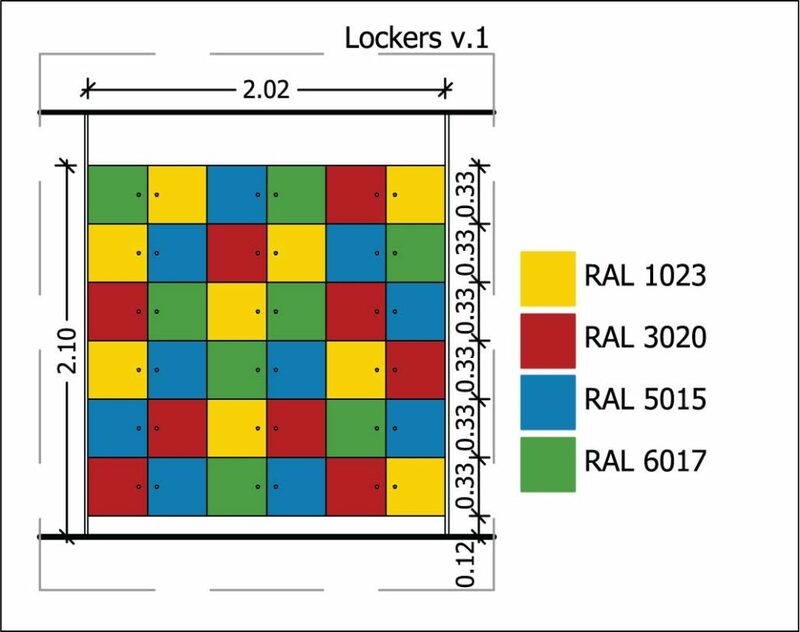 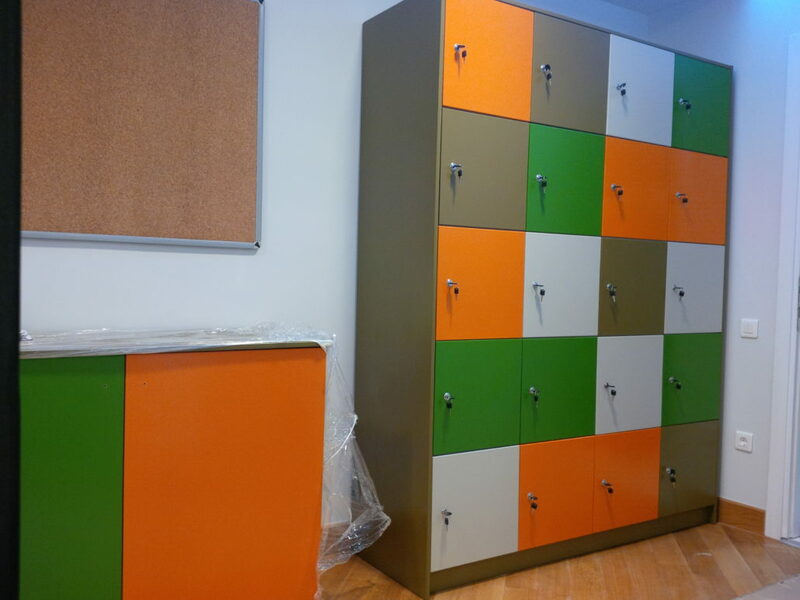 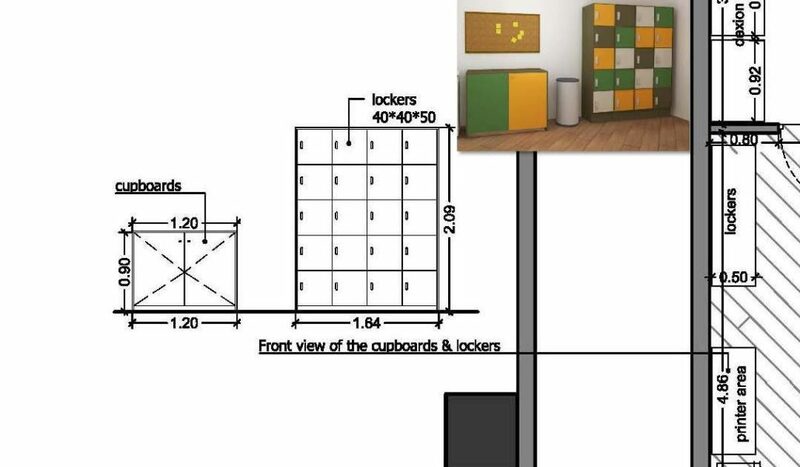 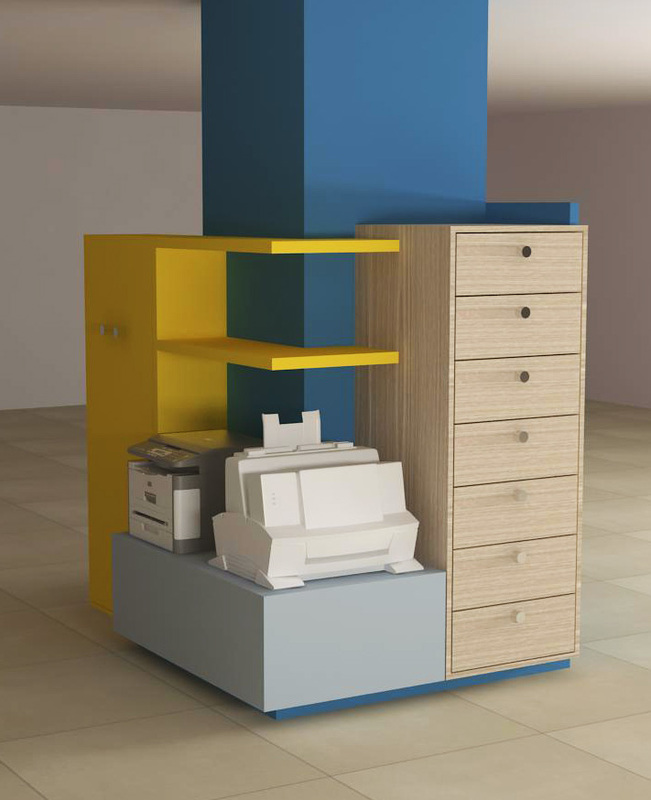 Furthermore, the furniture with colored lockers serves for storage of the personal belongings of the employees. 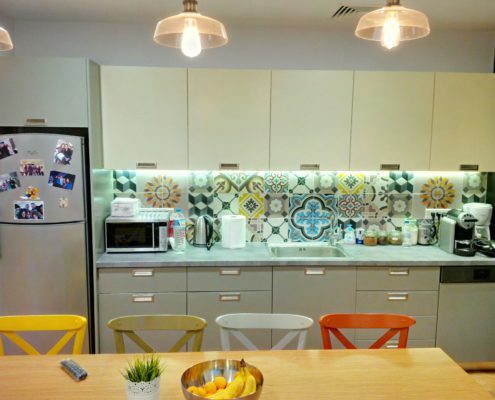 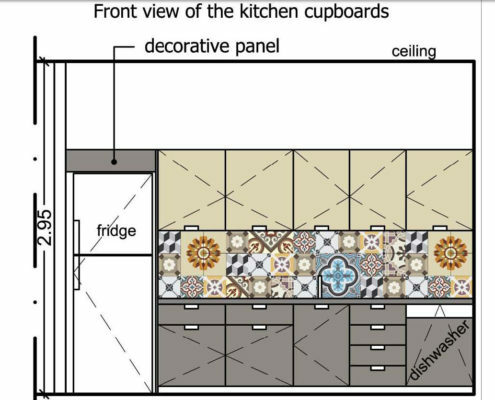 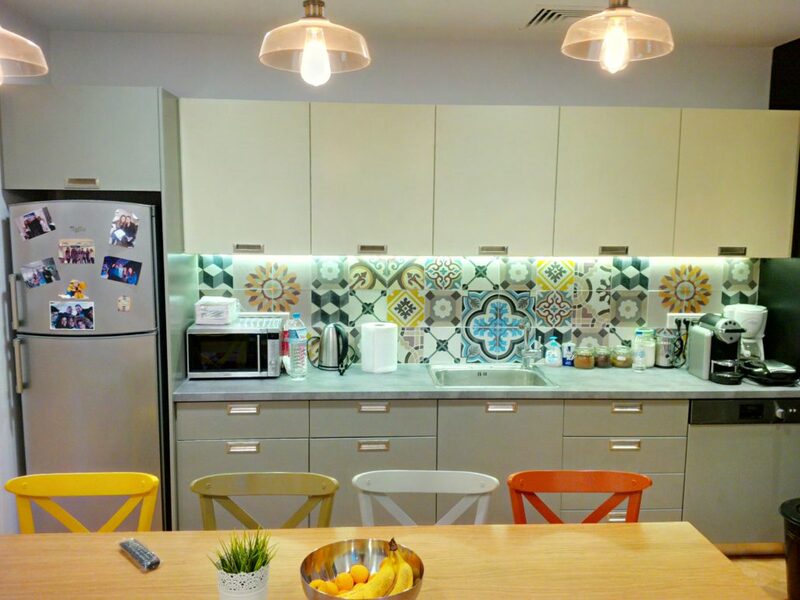 The kitchen suits very well with the other elements of the space.